A fan's meticulously researched, big-hearted tribute...Garvey crafts an ebullient but (suitably) efficient tribute to a much loved writing guide. Much more than basic history...now we have the full back story. Garvey brings an insider's sensibility to this wonderfully readable chronicle of how The Elements of Style came to be. Stylized is a compelling account of the birth of a classic. Enthralling. Who would think there could be so much passion, wit and gossipy anecdote in a book about another book about commas, colons and clarity? This original, thoroughly researched work is recommended for both academics and for nonstudents who love writing. A classic book like Strunk and White's certainly deserves a fine book like Garvey's, and both authors would doubtless appreciate Garvey's passion, clear prose style and exhaustive research. 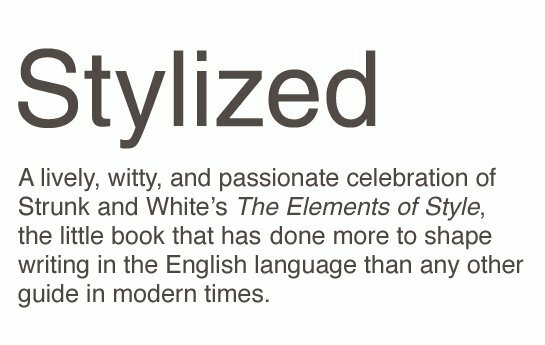 A gem of a book about a gem of a book.... Stylized is an exquisite homage that Strunk and White would heartily approve. I had no idea there were so many delightful anecdotes to be told about the birth and life of one of my favorite little books. 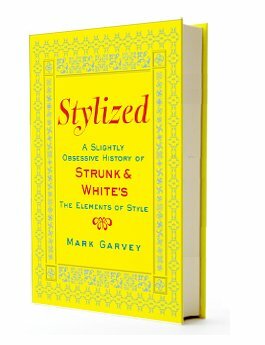 Whether you love or hate The Elements of Style, Garvey's infectious enthusiasm and riveting glimpse into Strunk's and White's lives make this book irresistible.